Sadaqah (voluntary charity) is a virtuos deed in Islam. It is considered as a proof of faith. The more we give sadaqah the more we increase our faith (eeman) and thus expecting rewards both in this world and the life hereafter from Allah swt. Giving charity out of our wealth does not decrease our wealth but instead Allah swt increases it. Hence, I am sharing how can any of you to give some to the needy with just a SMALL portion that will mean BIG to others. 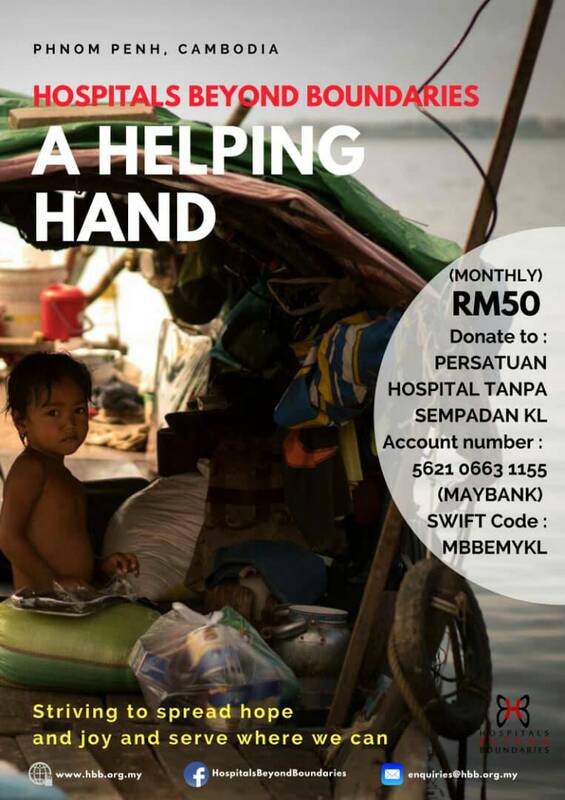 Perhaps by contributing and support the effort of Hospital Beyond Boundries team by contributing on monthly basis as low as RM50. I find it very interesting when I read through the effort of the small group of energetic, passionate and big-hearted Malaysian youth from various professional background to help people in Cham community, an ethnic minority that living below the national poverty line. They are just awesome people. Read more HERE the effort and the good deeds by these amazing people. Hospital Beyond Boundries is a non profit organization registered under the Malaysian Societies Act (PPM-019-14-22052012) dedicated towards improving the health of vulnerable communities through sustainable health care efforts. They achieve this by establishing hospitals and clinics run by local communities as social health enterprises. The power of sadaqah. Infak harta kita untuk pahala kemudian hari. Bagus aktiviti membina hospital kat tempat yang memerlukan. 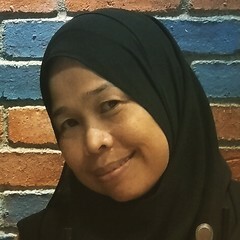 Nampak mungkin kecik pada kita tapi memberi impak yang cukup besar pada insan lain. Aah sedekah ni boleh dalam pelbagai bentuk. Tak semestinya dalam bentuk wang ringgit sahaja. Pelbagai cara kita boleh lakukan untuk bersedekah, asalkan niat kita tu ikhlas. looks like it's a very good initiative to help out... Great to have such initiative.. Kind people always aorund..
Wow. It is another new things i heard. Love to hear many good ppl aroun doing good deeds. Nak buat kerja kebajikan mesti ada funding baru boleh tolong lebih ramai orang. Usaha yg sangat mulia dari projek dan Doktor2 yang terlibat. Thank u so much for this post. selalu orang minta komen ads je, tapi akak lain. hehe insyaAllah semoga dipermudahkan urusan untuk mereka dan dipermurahkan rezeki lagi. This kind of act sangat bagus selain dapat bagi kita bersyukur dengan apa yang kita ada. Plus Ramadhan, berganda-ganda pahala. Alhamdulillah good job HBB.. Program kebajikan sebegini sangatlah bagus diperbanyakkan..
Alhamdulillah satu program sedekah sambil beramal dan memberi impak yang cukup besar pada insan lain untuk dimanfaatkan.